The Process	1 Advantages of in-house blacking	3 Can I see the process before buying? 4 What will a system cost? 5 What are the ongoing chemical costs? THE	PROCESS The Blackfast process is a surface conversion process. When metal components are immersed in the Blackfast blacking solution four essential elements of the solution, acid, copper, selenium and water react in sequence with the iron in the components surface to form a chemically bonded conversion coating. The chemical reaction commences as the surface is etched by the acid in the solution. The removed iron is precipitated as iron phosphate and is either deposited in the tank as a sludge or passed through a ilter. Copper is then plated on the etched surface within an iron phosphate lattice and subsequently converted to a black colour by the selenium. The porous crystal lattice has been measured on a hard steel substrate as having an average thickness of between 0.1 and 0.2 microns. The porosity of the crystal framework provides the structure into which oil and waxes are subsequently absorbed. The process equipment required is a simple arrangement of polythene tanks and, ideally, running water rinses. Processing entails degreasing, conditioning or pickling if hardened steel, blacking and immersion in a dewatering oil, all with intermediate water rinses. Any form of steel from mild through cast to hardened tool steel can be blacked. The end user can expect to black, on average, one kilogram of steel for approximately 12 pence. One litre of concentrated blacking solution will cover between 4 and 8 square metres of steel depending on the substrate to be blacked. If the material surface has slight red rust, mill scale or prismatic colour distortion caused by heat treating, this should be mechanically or chemically removed before processing. WATER RINSE 30 SECONDS AT AMBIENT TEMP. CONDITIONING 1 MINUTE AT AMBIENT TEMP. DEWATERING 10 MINUTES AT AMBIENT TEMP. Allow to air dry for, at least, 45 minutes before handling. ADVANTAGES	OF	IN-HOUSE	BLACKING Cost EďŹ&#x20AC;ective: Compared to sending your components out for blacking there will be signi icant cost saving. Most blackers will charge pounds per kilo whereas the cost of the chemicals is only around 12 pence per kilo. Frequently blackers will also impose a minimum charge and then there is the cost involved in getting the component to and from the blacker. Quick turn round: Take the lids oďŹ&#x20AC; the tanks and you are practically ready to black. No waiting for sub-contractors to do a batch run. No waiting for carriers to collect and deliver. Quality: The components inished to the standard you want resulting in less rejects. Simple to do: Practically anyone will be capable of running the blacking process. Bespoke systems There is no limit on the size of tanks that you can use for the process, our customers tanks range in size from 5 litres to 2000 litres. Larger systems are usually semi or fully automatic incorporating a hoist system. These will be quoted on an individual basis. 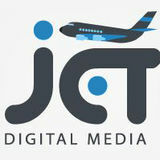 PRODUCT	SUPPORT When you have purchased a system, we are more than happy to oďŹ&#x20AC;er you help with setting up the system. We will also train the staďŹ&#x20AC; who will be using the blacking line if required. This is free of charge and the training will be certi icated. The operation manual, supplied with the system, has a useful trouble shooting guide. We are always on the end of the phone and/or email and if we can't solve your blacking issues this way we will, of course, visit you. HEALTH	&	SAFETY Yes, it is chemicals and appropriate PPE should be worn. Mostly just gloves, goggles and an apron. Once the chemicals have been diluted to their working tank strength the conditioner (Blackfast 551) is not classed as hazardous, the degreaser (Blackfast 716) is classed as an irritant and the dewatering oil (Blackfast 833) is classed as “fatal if swallowed and enters airways”. The only issue may be the blacking solution as this contains nickel sulphate and is therefore classed as “may cause cancer by inhalation”. However, nickel sulphate needs to be in the form of dust particles to be inhalable and as the nickel sulphate is dissolved in a solution this is not an issue unless the solution is agitated, sprayed or heated above boiling. For those that are still a little worried about the blacking solution we can also provide a nickel free blacking solution which is only classed as corrosive. The rinse waters: Our experience suggests that at normal rinse water rates, dilution of 2 â&#x20AC;&#x201C; 3,000 times takes place of any carried over content of tanks. Normally these are ine to dispose of to foul sewer but if you want to check with your local water authority we can provide a list of what chemicals and in what quantity is likely to be found in the rinse waters. If the discharge does become an issue we have water recycle systems available from stock. WHO	WE	ARE Blackfast Chemicals has been established for over 30 years. 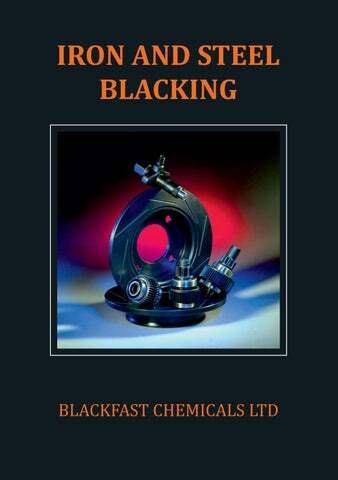 Blackfast Chemicals manufactures a unique product for the Blacking of iron and steel at room temperature. Customers include well known tooling manufacturers, OEMS and hundreds of smaller independent engineers around the world. Chemical blacking can be done by anyone. It is simple, fast and inexpensive.